What Small Business Loans Best Suit Your Company? Did you know that, according to the Small Business Association (SBA), small businesses have been responsible for creating 65% of new jobs for the last 17 years? It is no secret that the American economy is not doing particularly well. Jobs are scarce, and funding small business capital may, with time, help turn the economy around. 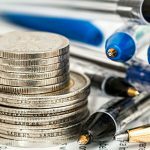 Why are small business loans on the rise, and what can businesses expect from traditional and alternative lenders? Small business expansion is in everyone’s best interest. How can companies choose from traditional and alternative lenders? Companies can apply for traditional or alternative small business loans. Traditional lenders include financial institutions, such as banks. Banks approve or decline small business loans within a 30-60 period. Policy analyst Ann Marie Wiersch and economist Scott Shane advise that banks continually raise lending standards, and make the approval process more difficult. According to Forbes, however, businesses may enjoy lower interest rates from traditional lenders. Independent companies, on the other hand, make up alternative lenders. Alternative lenders offer easy business loans with much shorter screening processes, at times even approving loans within as little as 24-48 hours. Alternative lenders continually explore new lending solutions, offering small business some flexibility and freedom. These lenders are also less strict about credit scores and numerical data. Small businesses continue to create new jobs and work wonders for the economy. An increasing number of lenders are supporting these businesses. 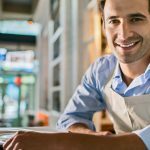 Small businesses can choose from traditional lenders, with strict approval processes but low interest rates, or choose alternative lenders for easy business loans, promising flexibility and capital within a much shorter frame of time.